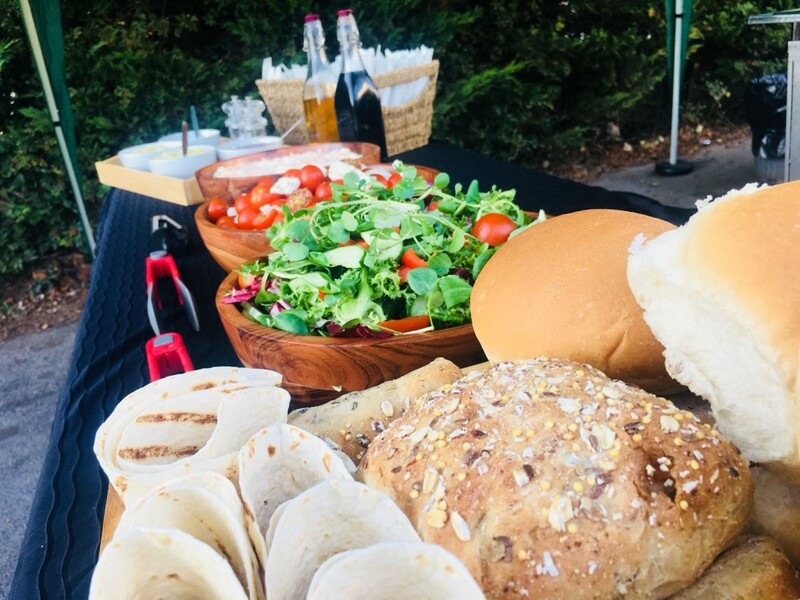 There is always a lot going on in this busy market town on the River Tay and here at Hog Roast Aberfeldy, we love being in the thick of things whilst we are providing our superior mobile catering services for all different types of events in Aberfeldy. There are three reasons why our hog roasts are the best in the area: the quality of our ethically reared meat, the skill of our chefs and the efficiency of our cutting edge cooking equipment. It is this combination that is the key to our hog roasting prowess and once you have tasted our succulent, slow-roasted meat, we’re sure you will agree. Hog Roast Aberfeldy’s signature slow-roasted pork sandwiches served with the crunchiest crackling and homemade apple sauce, are always incredibly popular at busy outdoor events in the town. Although this will always be what we are best known for, we also offer a wide range of different menu options that are suitable for any kind of formal or informal event in the area, from birthday parties to wedding receptions. In addition to our fabulous pork, we can also provide a selection of alternative meats, as well as flavoursome vegetarian dishes to ensure everyone’s tastes and dietary needs are catered for. We are just as discerning about the origin of all of our other ingredients, not just our pork, which is why we only ever prepare our menus using the finest locally-produced fare available. Whether you want a buffet or more structured 3-course meal, we are committed to making everything from scratch on-site and no matter how complex your chosen menu is, we are always ready to serve right on cue. How we serve your food is entirely up to you. Our multi-skilled catering assistants can provide support to your guests as they help themselves to one of our inviting buffets, or we can provide our own professional waiting staff to provide full table service. If you are hosting any special occasion in Aberfeldy and you have been struggling to find a catering company that can meet all of your needs, both in terms of the quality and flexibility, if you choose Hog Roast Aberfeldy, we will provide you with a well-rounded menu that will please all of your guests and take care of every detail so you can sit back, relax and enjoy your special day.